Lemons have an oval body; more rounded than a Dover, with a lighter, yellowy- brown dark side. Ranging in size from 230g to 1kg, Lemon Sole have a sweet delicate flesh, ideal for any sole recipes and work especially well with creamy white wine sauces. 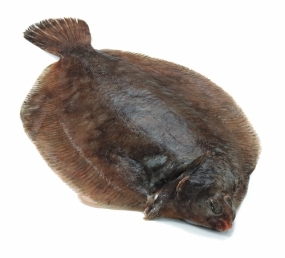 As well as being a great fish cooked on the bone, fillets are always popular, and are great for rolling around a filling (delice), then steaming or baking. 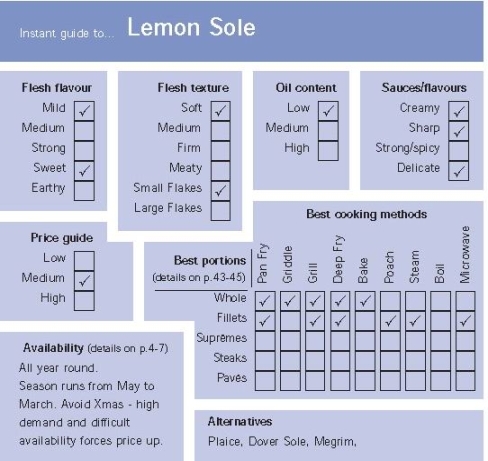 While found in the Eastern Atlantic and North Sea, Lemon Sole from the South Coast are generally considered the best, and often command a higher price. A popular fish on Christmas menus.